the chicken shack – Greetings from Evanston, Ill.
A Daily Northwestern story profiles a new Monopoly-like game, Evanstonopoly. 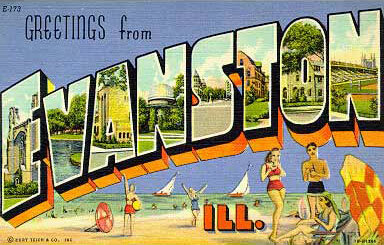 The First Night Evanston site gives details on where to buy the game in Evanston and long distance. The Chicken Shack! Who puts The Chicken Shack in their sublet ad? I’ve got nothing against The Chicken Shack; I’ve eaten there multiple times and even written about the place. But never have I ever, even with four years of Northwestern past, seen a sublet ad tout proximity to the Shack.